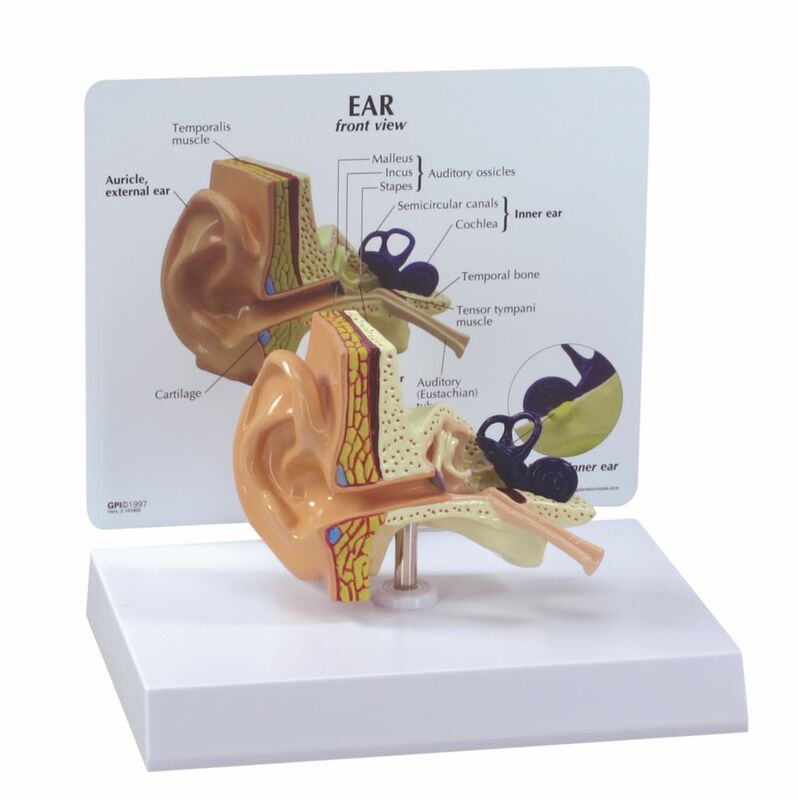 The durable plastic construction and bright colors of the Basic Ear Model encourages hands-on learning. Life size and painted to differentiate structures from the pinna to the Eustachian tube, this model is ideal for beginning anatomy lessons. 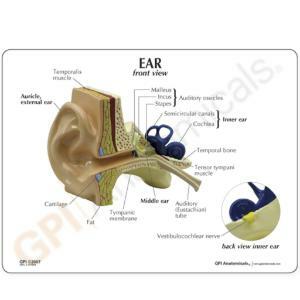 It displays all the functional parts of the complex organ including the ossicles and cochlea with the surrounding temporal bone and muscle. The model is mounted on a base and can be removed for close study.